As one of the most recognized Rolfing™ practitioners in southern California, Certified Advanced Rolfer™ Bob Alonzi knows that many people have no idea what Rolfing is or how it can contribute to improved health and wellness. He works with people of all ages and physical abilities, and is passionate about showing the benefits of structural integration bodywork to his clients. Whether you suffer from joint and muscle pain, or want to improve athletic performance, Bob is ready to help you unlock your wellness potential. Even with a healthy diet and comprehensive exercise program, our bodies often suffer from aches, pains, or injuries. 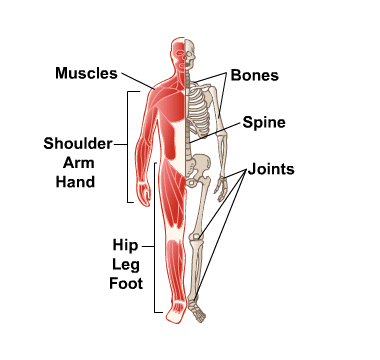 The cause often originates from problems with our connective tissue systems, and these problems contribute to an overall bodily misalignment. Your connective tissue, otherwise known as your fascia, is a vast network that holds together your muscles, bones, and organs. It affects your movements, posture, flexibility, and overall physical fitness. If sections of your connective tissue become thick or fibrous, then your facial system starts pulling your body out of alignment. Not only does this hamper your physical health and performance, but it exacerbates chronic muscular and skeletal conditions. Just as your muscles and joints sometimes develop problems that require outside intervention, so too can your fascial net. Through Rolfing deep tissue bodywork, Bob works to correct problems with his clients’ fascia and develop a greater awareness of healthy practices to support total wellness. If you’re new to the concept of Rolfing, know that it has been used by athletes for both improved performance and sports injury rehabilitation. This practice has a long history of supporting musculoskeletal functionality, while reducing chronic pain and preventing injuries. When you contact Bob for a consultation, he’ll explain the history and principles of Rolfing, and help you identify your overall wellness goals. Then, he’ll develop a plan that will help bring your body back into balanced alignment while addressing any underlying issues. Contact Bob Alonzi or call 310-451-3250 and let him show you how Rolfing can transform your body and your health.